Here's a version of the same subject without the light painting and I'm curious as to which is better? I much prefer this one, Mike. 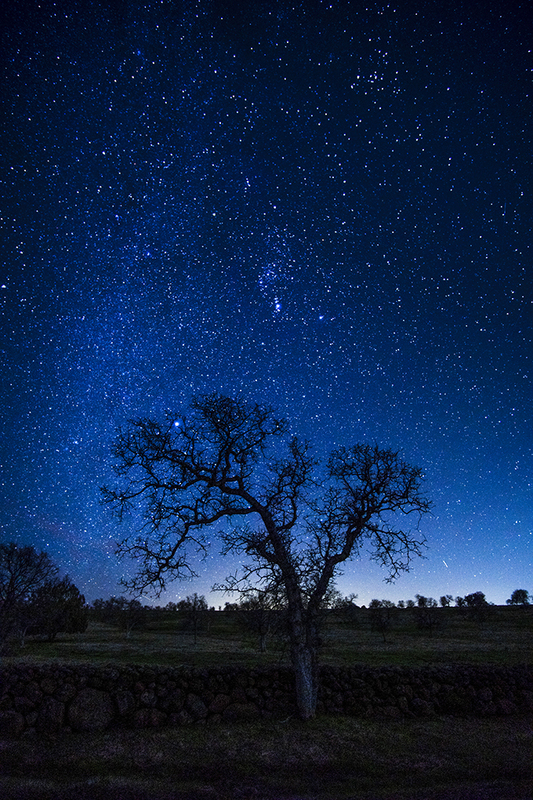 The dark silhouette of the tree is a beautiful contrast to the starry sky. Composition is also more pleasing to my eye. I like the glow in the background, the deep blue of the sky, and the tall crop with all those stars. Well done! Factually, I like this one. Artistically, the light painting wins for my tastes. Both need a click to fully appreciate the uncompressed view. Thanks for the input. I think it's interesting to see the two different approaches. I like this one better. The light painted one needs a much warmer light source and a whole lot less light painting. This one, with just a tiny bit of light painting would probably be the best solution but I much prefer this one. Yes, I also much prefer this one over the other...nicely done!